This is basically a flashlight with extra (useful) perks. This super bright light shoots out a beam up to 700 feet which means that people can see you. 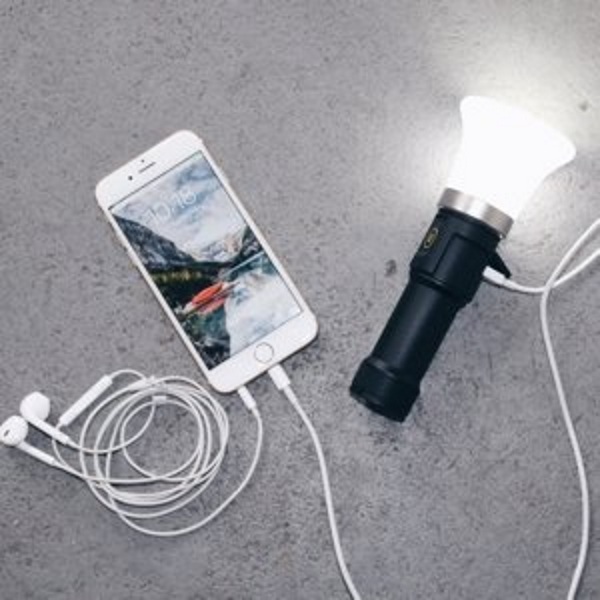 It can be used for up to 90 hours of light. Just incase you’re out there for a few days or lost in a cave. It also has SOS strobe mode for emergencies. It can be used to charge any USB device. This means your phone or even your GoPro can use this as an extra battery pack if you really need it. It’s smaller in size and fits comfortably in hands as well as in emergency bags for home or car. You don’t need to have an emergency to use this. The bright white light might make it your favorite go to flashlight. You can get one for $99.